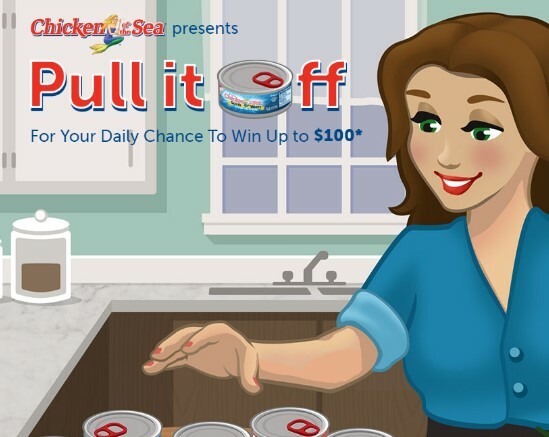 Chicken Of The Sea is celebrating their new EZ Open Can by giving you a chance to try it virtually and you could win an instant Amazon Gift Card prize! The prizes for the Promotion consist of a total of 3,062 Amazon gift codes with an approximate retail value in United States dollars (“ARV”) of $2, $5, $10, $25, $50, or $100 (each, “Prize,” and collectively, “Prizes”). This Sweepstakes ends on 11/12/16 and you can ENTER DAILY to win.